Urbana School District 116 Superintendent Don Owen, shortly before the school board voted to place him on paid administrative leave. The Urbana School Board, without discussion, voted Tuesday night to bring in former district superintendent Preston Williams to manage District 116 for the rest of the school year, replacing Don Owen. 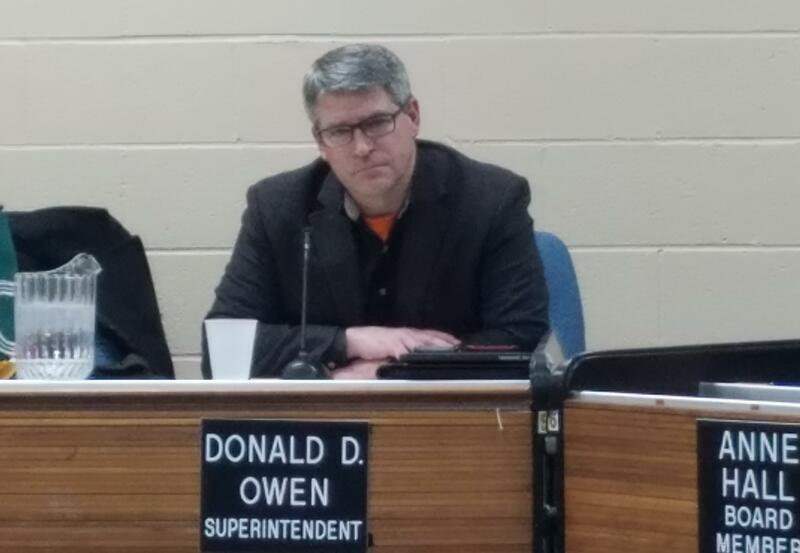 The school board voted 5-2 to place Owen on paid administrative leave until his contract runs out on June 30, 2019. Board members also voted to placed Assistant Superintendent Katherine Barbour on paid leave. Assistant Superintendent of Learning, Samuel Byndom, had already been placed on leave, following his arraignment last month for allegedly trying to secretly record a closed-door school board meeting. 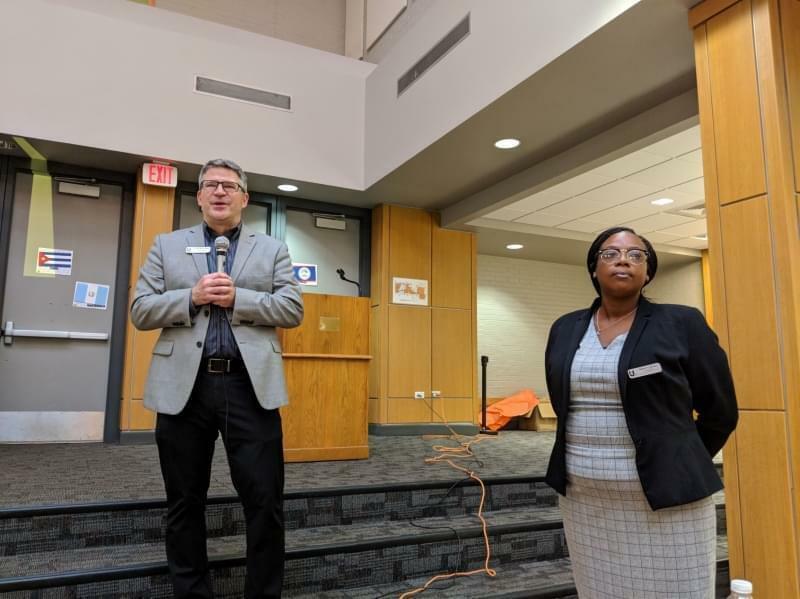 Taking their place will be Williams, who served as district superintendent prior to Owen, and former District 116 administrators Jean Korder and Gayle Jeffries. The former administrators will work on 120-day contracts until the end of the current school year, while the school district looks for permanent replacements. School Board member Paul Poulosky said the eavesdropping charge against Byndom was one factor in their decision to bring in Williams and the other two administrators. 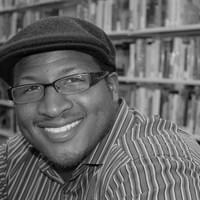 He said other factors included the leaking to Illinois Public Media of the news that the Urbana school administration had requested an audit of the hiring process for a handful of district positions held mostly by people of color. 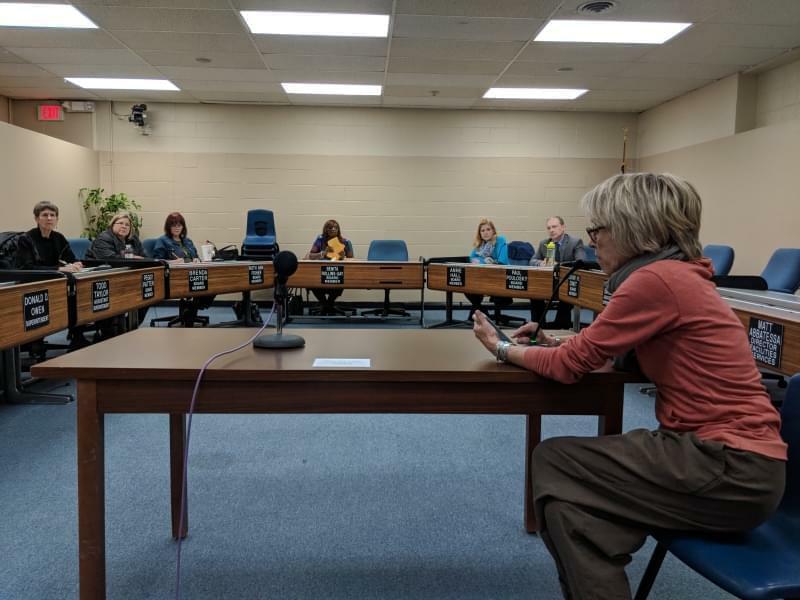 Members of the standing-room-only crowd who addressed the school board during the meeting believed there was another factor: the district’s restorative discipline procedures. They’re meant to improve racial equity in District 116 when it comes to school discipline cases. But critics say they’ve led to an increase in school violence. Many supporters of restorative discipline credited Owen for the program, including parent and District 116 staff member Jenae Bivens. She praised Owen for implementing the program as a way to bring about greater racial equity. But other parents, like Tory Ecksom, said Owen had made bad decisions in implementing the program, leading to more school violence. 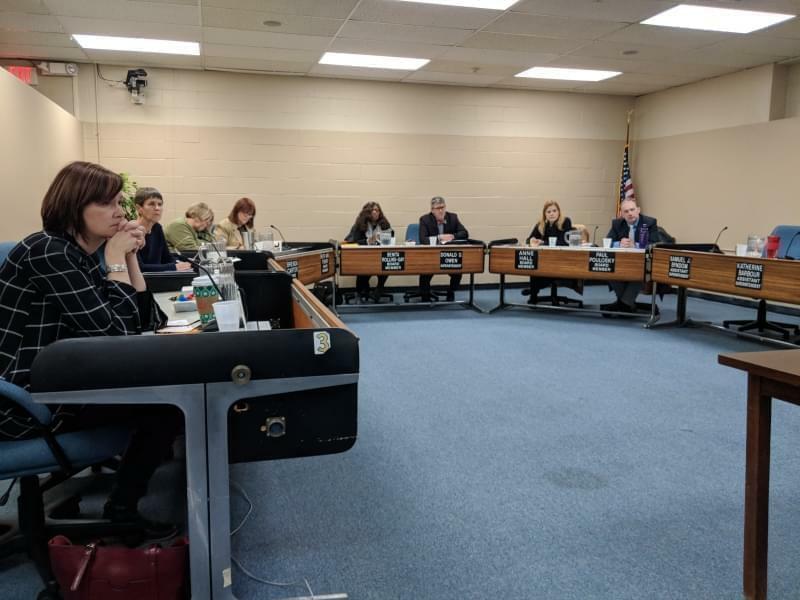 But Poulosky said controversy surrounding District 116’s restorative discipline procedure was not a factor in the decision to remove Owen and the two other administrators, and that school board support for the program remains strong. Owen said he was shocked to learn of his removal as superintendent from the school board’s press release. He said he had not been given any written explanation for his removal, and that there has been no allegation of wrongdoing filed against him.